LNG Canada staff will this summer move into the recently completed Haisla Centre in Kitimat. The Haisla Nation, which supports two of the leading proposed major LNG projects in B.C., is in a tough waiting game as the projects remain in limbo. 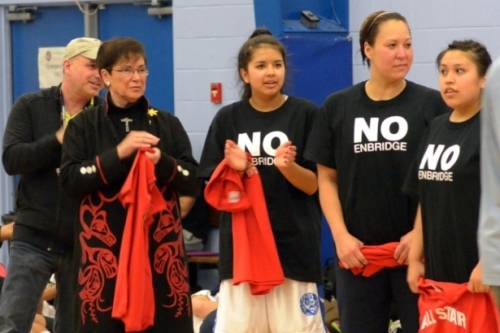 Members of Haisla basketball team wear black “No Enbridge” t-shirts. In an increasingly explosive political climate in the Kitimat area over a controversial vote on the Northern Gateway pipeline, the Mayor of Kitimat was flash mobbed by a group of mostly First Nations people, donning “No Enbridge” shirts at a Haisla girls basketball championship on Sunday. Feds clear way for LNG export plant on First Nations reserve at Kitimat B.C. 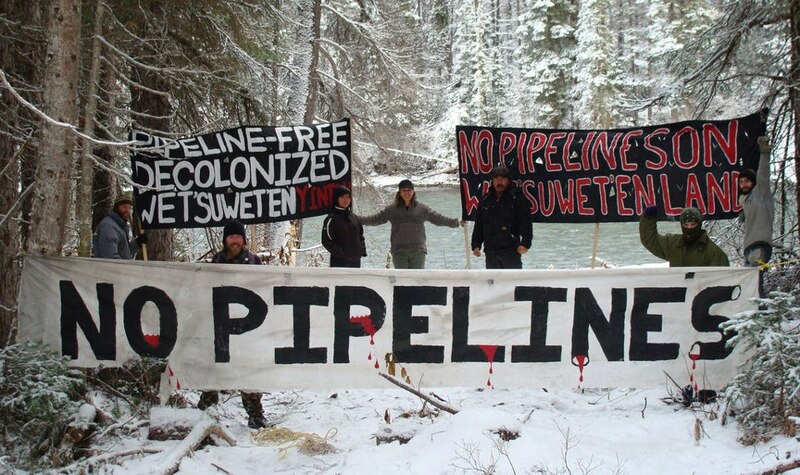 Members of Unis’tot’en camp, November 2012, blocking access to Pacific Trails Pipeline surveyors. 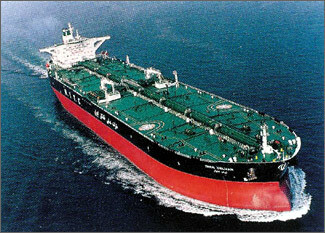 The federal government has cleared the way for a liquefied natural gas export plant on the B.C. coast. The Haisla First Nation has pulled out of an organization that has ardently fought the proposed Northern Gateway pipeline and called for greener practices in the export of natural gas. The scene was a Coastal First Nations board meeting on Granville Street in downtown Vancouver. That alliance of native communities nestled in coves and inlets along B.C.’s jagged north coast had agreed to host Enbridge CEO Pat Daniel and three other senior company officials.